If you are a smoker and visiting Japan, you are going to have a hard time. I visited Japan with a friend and we both do not smoke, but one thing we did notice while casually walking in Shinjuku, were the “No smoking” signs on the floor. That’s something you can’t imagine in Europe, or at least I have never seen anything like that before. While Europe has laws that restrict indoor smoking, in Japan there are certain areas where smoking is forbidden OUTDOORS. How cool is that? There’s no one blowing their smoke into your face and there are not millions of cigarette butts polluting the grounds. I was honestly a big fan of that! Also, there were very few people in the designated smoking areas. 2. Help! I can’t find a waste bin! I was in Japan during summer. The heat was unbearable, so I carried a water bottle with me nearly all the time. Drinking enough was important but after having finished the bottle one question remained: where do I put my waste? We were desperately searching for a waste bin in Tokyo and simply could not find one! Later on, I learned that the Japanese are taught not to leave any waste, meaning that if they produce some, they take it back home with them. Honestly, I was pretty impressed and then learned to carry a little bag in my backpack for all the waste I produced. Also, this way you realize how much waste you actually do or do not produce, and the streets stay clean, as no one would dare to simply throw his trash onto the ground. Japan is a modern country, a commercial hub and of importance for international business, right? Well, all that does by no means say that you can talk English there. In fact, it can be quite difficult to find someone with a basic knowledge of English outside of hotels or hostels. I definitely recommend you learn a bit of basic Japanese (yes, no, thank you, etc. …) before visiting, as otherwise you might have to explain something using your hands and feet (like it happened to me and my friend more than once). Nevertheless, people are more than willing to help, so you might end up listening to a Japanese woman for minutes while she’s explaining to you where you find a certain place without understanding a single word. I was truly blown away by the kindness of the locals and remembering their happy faces when I thanked them in Japanese still fills me with joy. I’ve been to a lot of places in Europe, North America, Australia and a few in Asia and I have never seen any place with public transport like in Japan. Of course, again reading can be difficult and waiting for the signs to change to English can take a bit of time, but everything is so calm and organized it’s simply amazing. Every bus or train is on time – and I truly mean on time! In Japan they apologize for train delays of just 2 minutes and people are actually waiting for others to exit the train or bus before entering! Also, I don’t think you need domestic flights as there’s a perfect train system. I even tried the night bus (I took it from Tokyo to Kyoto) and I slept better than on most of the airplanes. 5. Tokyo? Yes, please! Tokyo Station? No way! Nevertheless, there’s one thing you should keep in mind when using public transport in Tokyo: Do not change subway or be at Tokyo Station during rush hour. Repeat that sentence after me until you memorized it. It was horrible! While everything in Tokyo is way too organized, considering the insane amount of people living there, during rush hour at this subway and train station you get an impression of what 38 million people really means. Still, everyone is calm, and people are kind, but being stuck underground with so many people is an experience I do not want to make again. 6. It’s Japan Rail Pass Time! I already mentioned some of the advantages of using public transport in Japan, and one thing that is an important part of that, is the Japan Rail Pass. Purchasing the pass allows you to use the high-speed trains, the so-called Shinkansen, to get from one point to the other. Considering the time of getting to the airport and through the security check I’m pretty sure in most cases you are even faster by train than by taking the plane. 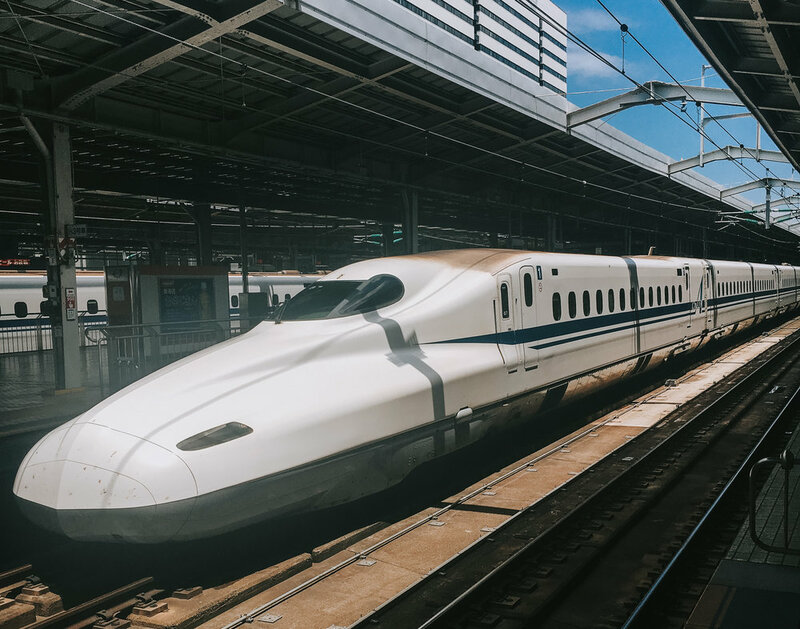 The easiest way to purchase the train is by simply buying it at a Shinkansen station, as buying it online comes with a few restrictions. 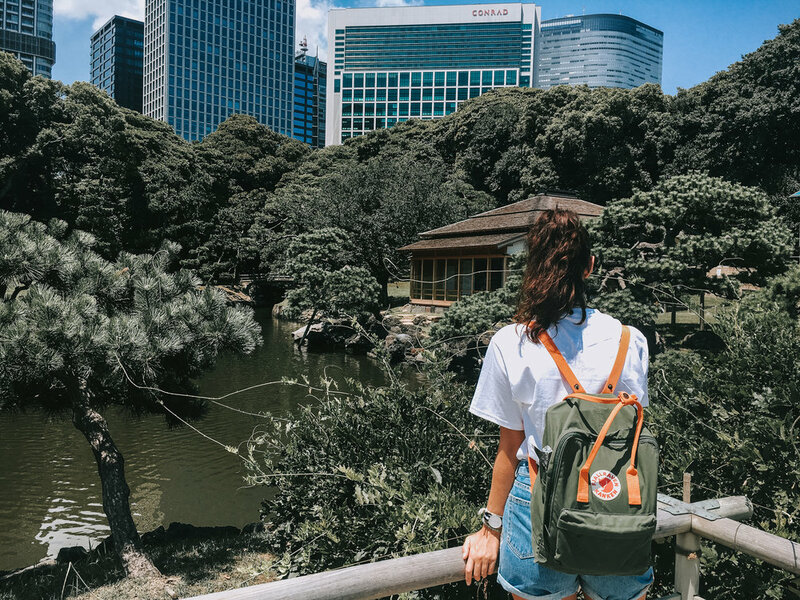 One thing to keep in mind is, that you can only purchase the pass if you are visiting Japan with a tourist visa, but I’m pretty sure that applies for nearly everyone reading this blogpost. Even though Japan is a truly futuristic country, people still use cash and depending on where you are at, they really prefer cash over card. But withdrawing cash in Japan is not that easy. Most of the ATMs do not accept cards that have been issued outside of the country. Foreigners, like me, need to use international ATMs that are part of a 7-Eleven, Family Mart or Lawson. Some banks accept international cards a s well, but you have to try (and fail). Luckily, the said convenience stores with ATMs are found in vast numbers in the cities and I heard the banks are trying to improve this issue. My friend and I booked most of our accommodations just a few days before getting there, just the very first hotel in Tokyo we had already booked before departing. In all the other cities, as well as when returning to Tokyo at the end of our trip, we stayed in hostels and I became such a huge fan of Asian hostels! They are prettier and cleaner than most of the HOTELS I’ve seen in Europe. Also, they are actually really cheap. Not only in comparison to Europe but in general. And if you ever have the chance to stay in a capsule hotel – do so! Even if it’s just for one night to try it, this innovation will blow your mind. They are actually hostels that look like as if they were taken straight out of a science fiction movie, but they also very comfortable and you’ll surely have an unforgettable night there, no matter if you enjoy it or realize that this innovation was not made for you. How many times did people ask me “But wasn’t it expensive? !” when I told them I was in Japan? I honestly can’t count it anymore. Of course, I’m not taking the flight into consideration, as this depends on where you are departing from, but I am now talking about the prices inside of Japan. Hostels or hotels, as I mentioned before are way more worth their money in Japan than they are in Europe, public transport as well is pretty affordable if you plan ahead a bit and the food? I was expecting way worse! Most of the time we paid 1,000 Yen per person for our dinner and that included sushi, miso soup, rice and sometimes even cooked fish. And I’m pretty sure I don’t have to explain to you once more how amazing original Japanese sushi is, right? I’m a bit sad that Japan has the reputation of being expensive. Of course, you can’t compare it to countries like Thailand, where you can eat for like 2 $ a day, but still it’s cheaper than most places in Europe and there’s no reason for claiming it to be an expensive country. One thing I definitely learned during my stay was that Wi-Fi is precious. Unlike other places I’m used too, in Japan free Wi-Fi is pretty rare. While you can find numerous different networks, using them is very difficult. Free ones most of the time offer registration forms only in Japanese or simply do not connect – even after waiting several minutes. In the meantime, paid ones sometimes require Japanese addresses or credit cards. Of course, there is free Wi-Fi at the hostels or hotels, but if you are on the run during the day I definitely recommend buying or renting a portable Wi-Fi router. As mentioned before, you can easily get lost in translation in Japan! In restaurants or public places Wi-Fi is scarce, too. Putting together this list has made me remember once more how much I love this country and how much I wish I could turn back time and be there once again. Hopefully, I’ll be able to return very soon, but, I may be able to visit another major Asian country soon. I also may have already booked the flight. So stay tuned for more!